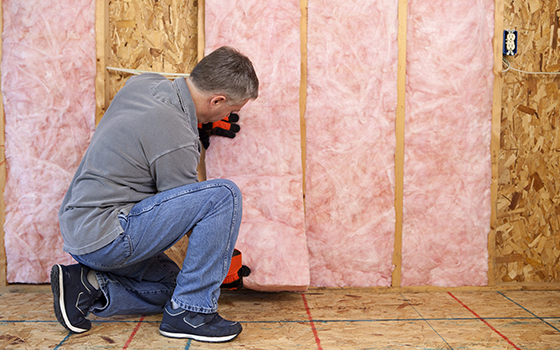 Insulation keeps homes cool in the summer and warm in the winter — and helps reduce energy costs. This gift helps ensure families in need are comfortable all year long and helps keep utility bills low. At Habitat for Humanity, we build. We build because we believe that everyone, everywhere, should have a healthy, affordable place to call home. More than building homes, we build communities, we build hope and we build the opportunity for families to help themselves. Your donation will help families break the cycle of poverty and build long-term financial security. With an affordable, stable home, families have more to spend on food, medicine, child care, education and other essentials. Your support can help us do more in all the many ways that Habitat builds. Habitat for Humanity International (HFHI) shall make every effort to use funds as designated; nevertheless, under the direction of the Board of Directors, HFHI retains complete control over the use and distribution of donated funds in furtherance of its mission. Habitat for Humanity's vision is a world where everyone has a decent place to live. Your selection from the gift catalog is a donation to Habitat for Humanity and will be used to provide support where needed most. ©2019 Habitat for Humanity® International. All rights reserved. "Habitat for Humanity®" is a registered service mark owned by Habitat for Humanity International. Habitat® is a service mark of Habitat for Humanity International. Habitat for Humanity® International is a tax-exempt 501(C)(3) nonprofit organization. Your gift is tax-deductible as allowed by law.